Happy 4th of July! 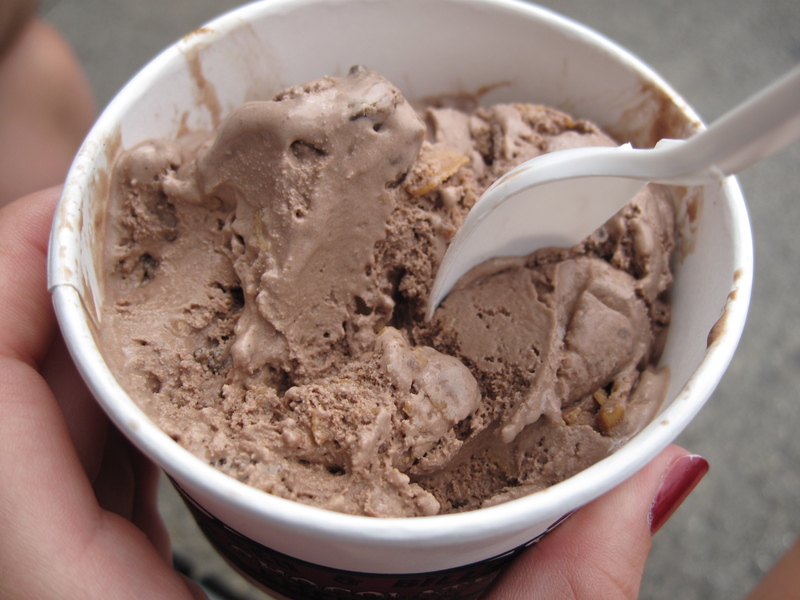 What a great excuse to eat inordinate amounts of ice cream. Enjoy the freedom today of eating whatever you feel like eating, whether that be deep fried pies, or quinoa salad, or a scoop (or three) of your favorite local ice cream. 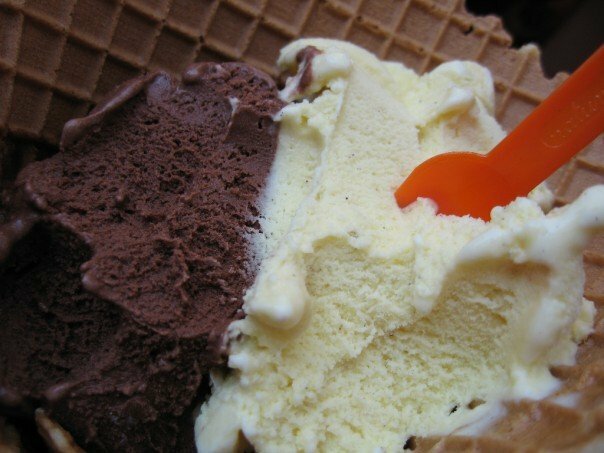 Take a guess of which of the following pictures are true dairy ice cream and which are gelato. Except for the second picture, all are gelato. You can see in the second picture (Chocolate and Peanut Butter ice cream from Ben and Bill’s Chocolate Emporium) that the dessert takes on a true milky color. 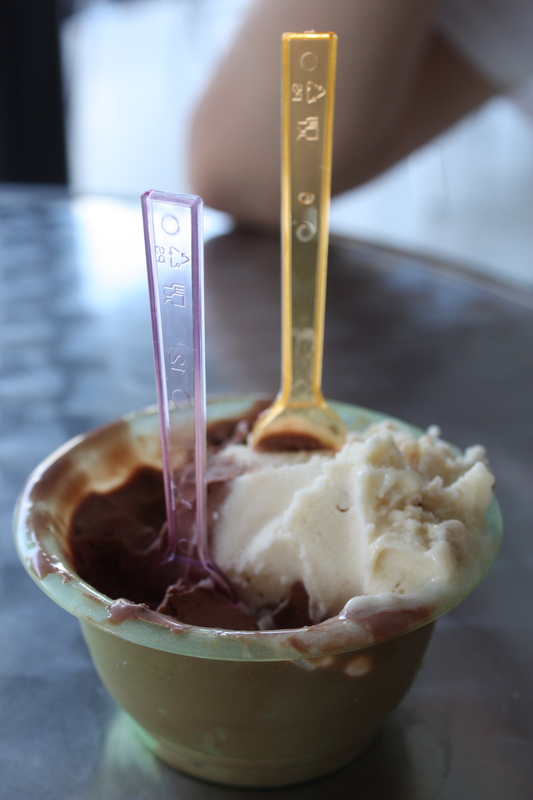 Gelato contains less fat but more sugar, and is made in small batches in order to quickly freeze the ingredients. 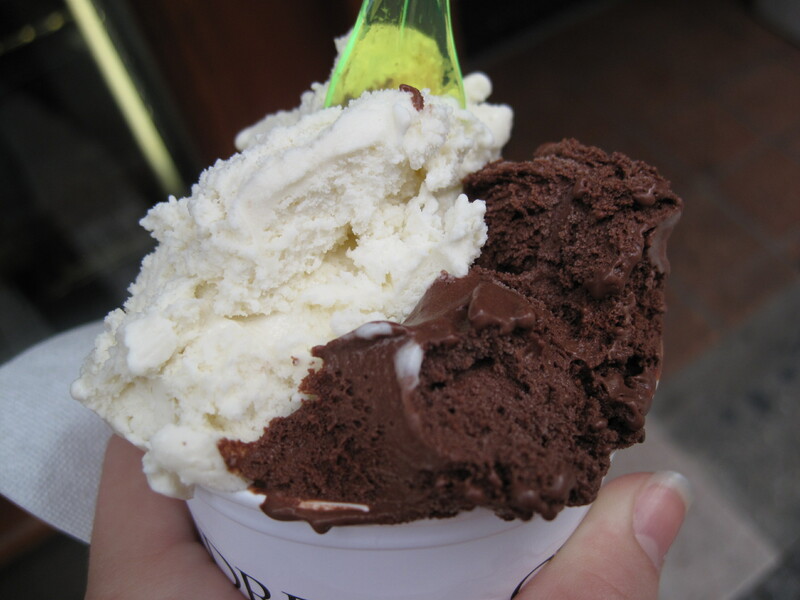 It is evident that I have a thing for chocolate and vanilla gelato. As I often say, if chocolate or ice cream were a man, I’d marry him.